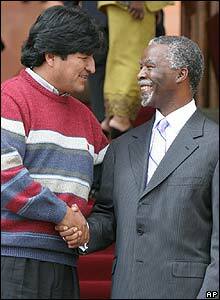 President Thabo Mbeki seemed to appprove of Evo Morales' casual dress sense when the pair met in South Africa. 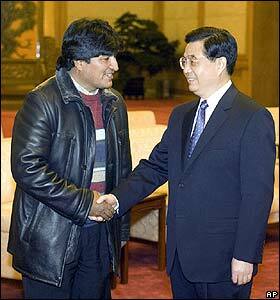 Mr Morales donned a jacket to meet Chinese President Hu Jintao - but a leather one, with the stripy jumper clearly seen underneath. 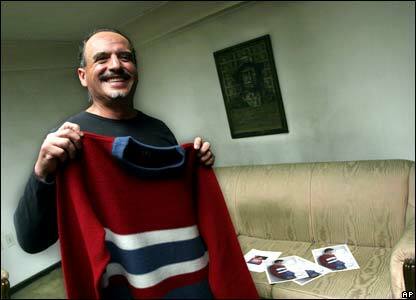 In Spain, there's that jersey again! Prime Minister Jose Luis Zapatero can hardly believe how wool Mr Morales is looking. 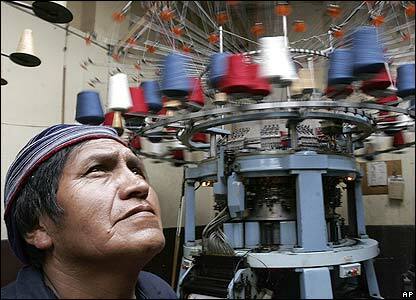 Back in Bolivia, demand for 'Evo fashion' sparked a rush to weave the woolly tops. 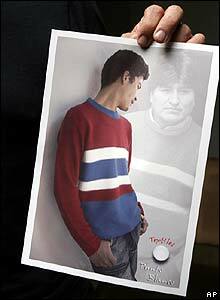 The company is marketing its new range using Mr Morales' image. 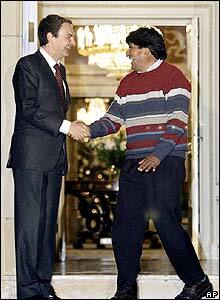 Punto Blanco owner Raul Valda says Evo Morales and his clothes are a symbol of Bolivia.